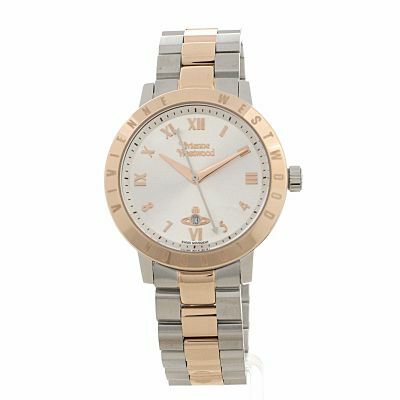 This watch is has the best balance of sophistication and fashion. You can wear it for any occasion and it doesn’t look garish for Work or going out either. It pairs really well with bracelets on the same hand too. Especially the VW bracelets. So far no problems with the wagvha nd I’ve had loads of compliments. The only thing I will say is that it sounds kind of plastic even though the materials and it looks stunning. When putting it on , it sounds delicate even though it doesn’t look it. If that makes sense. Lovely gift for a girlfriend or loved one! 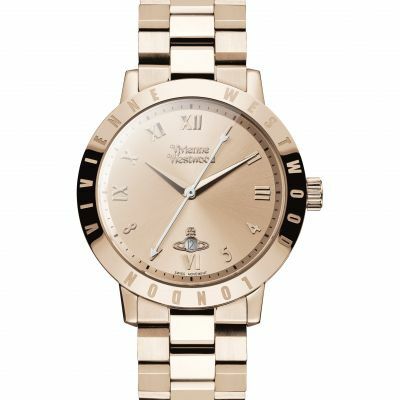 Ordered my beautiful Vivienne Westwood watch, and it was better in real life than its picture on the web site. Already had fantastic comments from friends whove asked me where I got it from. Gave them details for the website. Service received from start to finish was excellent. Delivery was prompt by secure Royal Mail service and quicker than expected. 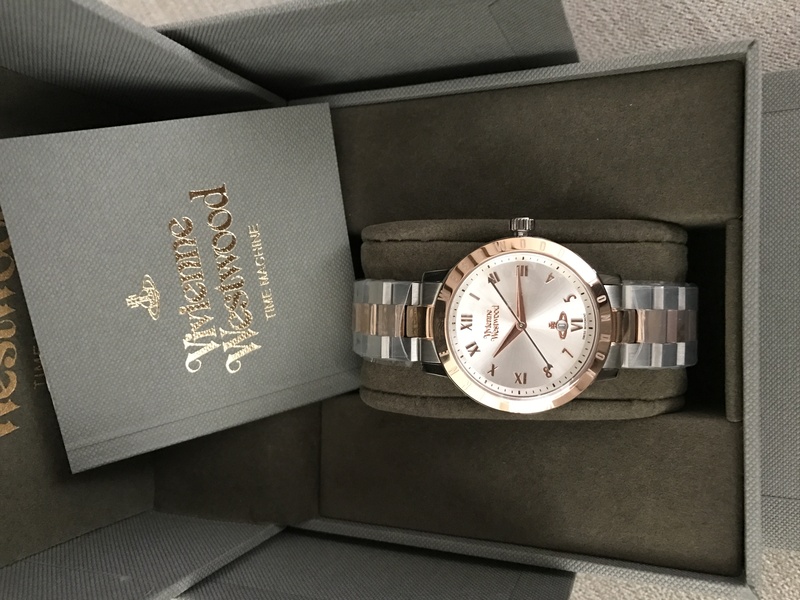 Looking to surprise my partner for Valentines, so will be back for another watch shortly. 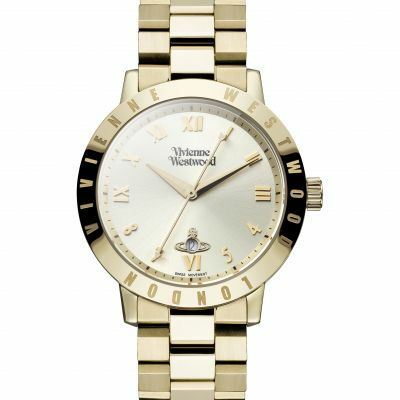 I really love this Vivienne Westwood watch. Absolutely stunning and so elegant yet very trendy, it goes with every outfit, I would highly recommend this piece. I am watch crazy and have a few already to Gucci, Thomas, Sabo, Guess, dkny, d&g, Rhue du Rhône, like To ware different ones all the time, but since I’ve purchased this watch I’ve not taken off once, it is so classy, picture don’t do justice. Great watch. True to description. Good quality. The watch that purchased arrived the very next day. 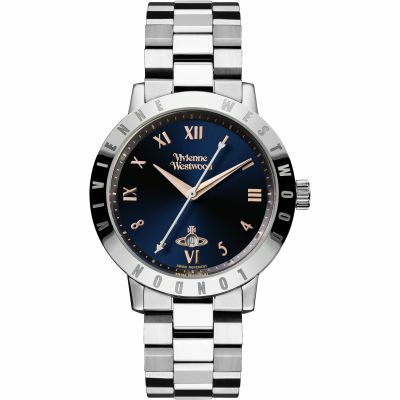 The Web site was easy to navigate and will probably use Watchshop again. The only problem I had was that I had paid extra to the the watch gift rapped and it was not. Although the invoice showed me a picture of a rapped present. 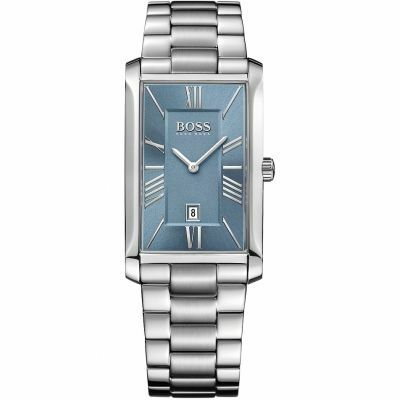 I have bought this watch for my wife for Christmas. I was impressed with the quick delivery and love the watch. A present for the girlfriend 23yr old, looks good in my opinion, guess Christmas will tell. 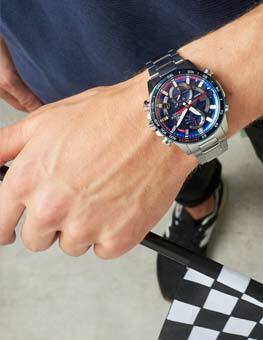 Great stylish looking watch. Bought it for my daughter as a Christmas present and she will love it. Easy ordering process and watch arrived very quickly. Comes in a nice presentation box and the watch itself is just the right size. 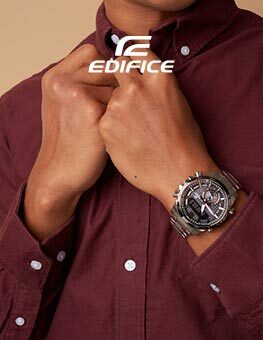 Great product all round, from the speedy delivery to the watch itself. Little details like the box it came in makes it a stunning piece of craftsmanship from a top brand who clearly know how to assemble top, top timepieces. 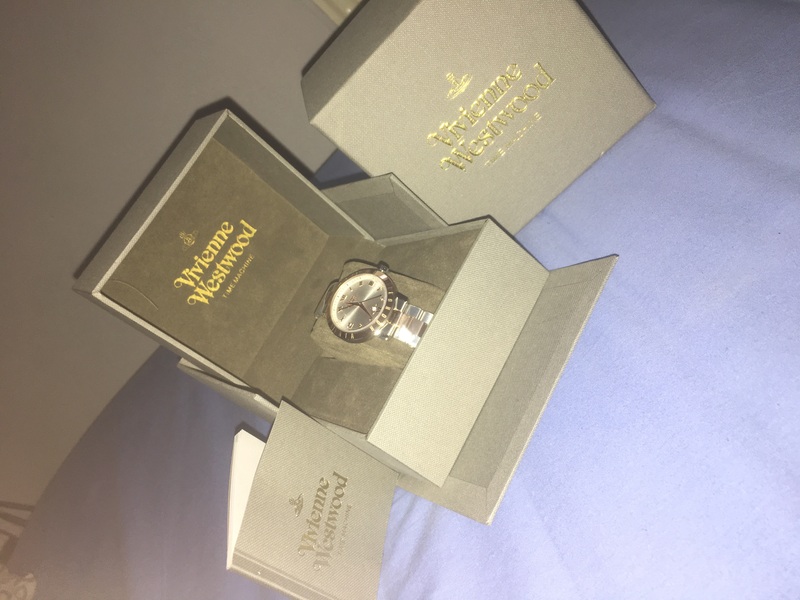 I ordered this watch as a gift and I couldnt be happier with it! The packaging is lovely and feels expensive. Really nice if giving for a gift. The watch is beautiful and exactly what I know my friend will love. 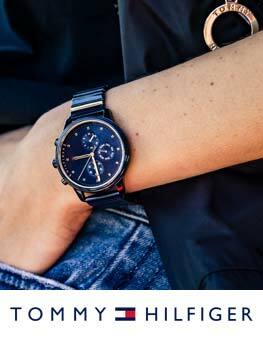 The face is a really nice size for a female watch. Its not too small so its really dainty, but not too big so it looks bulky, its perfect. 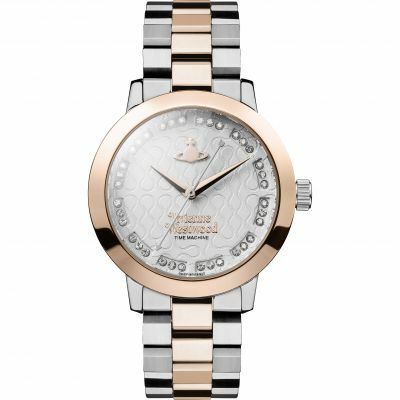 When shopping for watches, I found that some of the watch faces were a little too clingy but this is really classy and looks really expensive. I was a little worried that the engraved letters around the face would be a little bit too much based on the photograph of the watch, however in real life it is nicely understated. The colours on both the face and the watch strap are gorgeous. The silver and rose gold together look beautiful. The watch isnt too heavy, which will make it extremely comfortable to wear I imagine. I think some of the links may need to be removed for my friend, but seems like that is going to be easy enough. Overall this watch is beautiful! The colours, the size, the weight are all perfect. Im super excited to give this gift, if not slightly jealous!!! 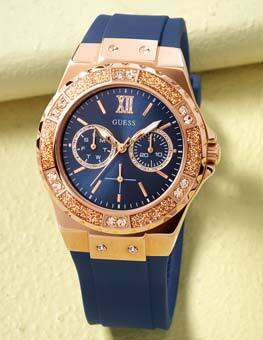 Very nice watch, hopefully my fiancé will love it. The watch is absolutely stunning, fitted perfectly with no adjustments. The mixture of colours sublime. The simple date function is great. A classic style and colouring.